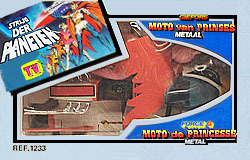 The Netherlands received re-releases of toys originally issued by Popy in Japan and distributed in the European market by Ceji Arbois of France. 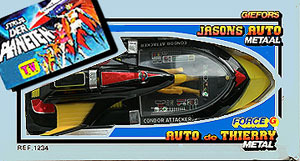 These toys were mostly die-cast metal with plastic accents and missiles. 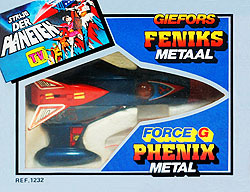 The Feniks toy came with small plastic versions of G-Force's individual vehicles that could be stored in its body. 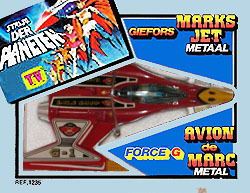 Mark's Jet, Jason's Auto, Princess' Moto, the Mechanical Tank and the Super Feniks toys were designs that were not used in Battle of the Planets. 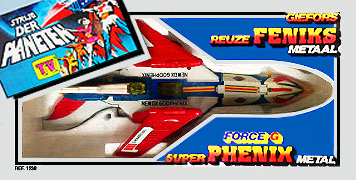 These five vehicles appeared in the Japanese sequel series, Gatchaman II. 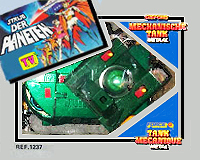 The toys shown above were packaged for release in the Netherlands and Belgium by Civas, 1980. 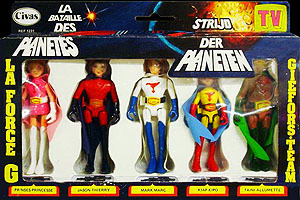 A boxed set of five Battle of the Planets action figures. These were originally released for Gatchaman II in Japan, but were distributed in France by Ceji Arbois in 1980. 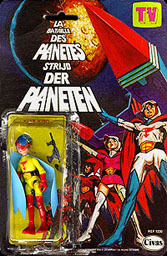 Each figure had a removable helmet, gun and flexible plastic cape. This particular version of the boxed set was packaged for release in the Netherlands and Belgium by Civas in 1980. 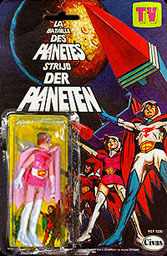 Two individual release Battle of the Planets action figures. All five members of G-Force were made. They were also sold together in a boxed set as shown above. Each figure had a removable helmet, flexible plastic cape and gun. These versions were packaged for release in the Netherlands and Belgium by Civas in 1980.